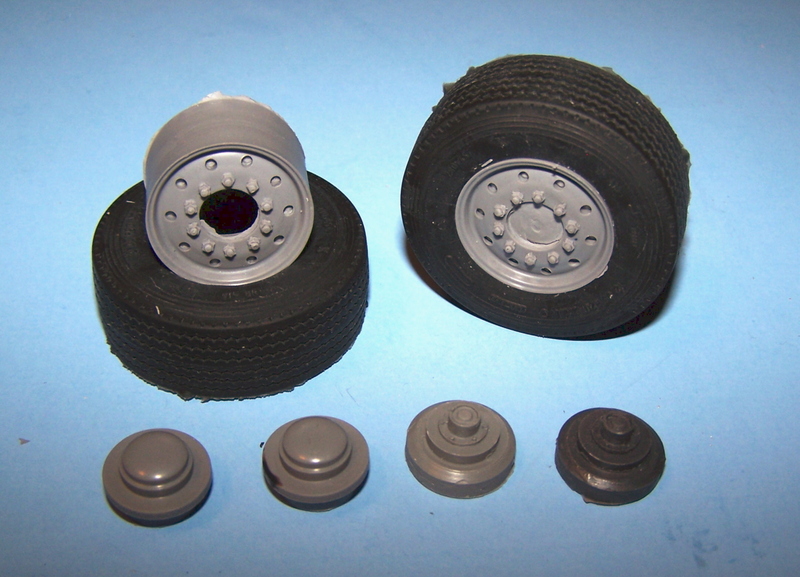 Includes 2 tires, 2 outer wheels and 2 inner wheels. 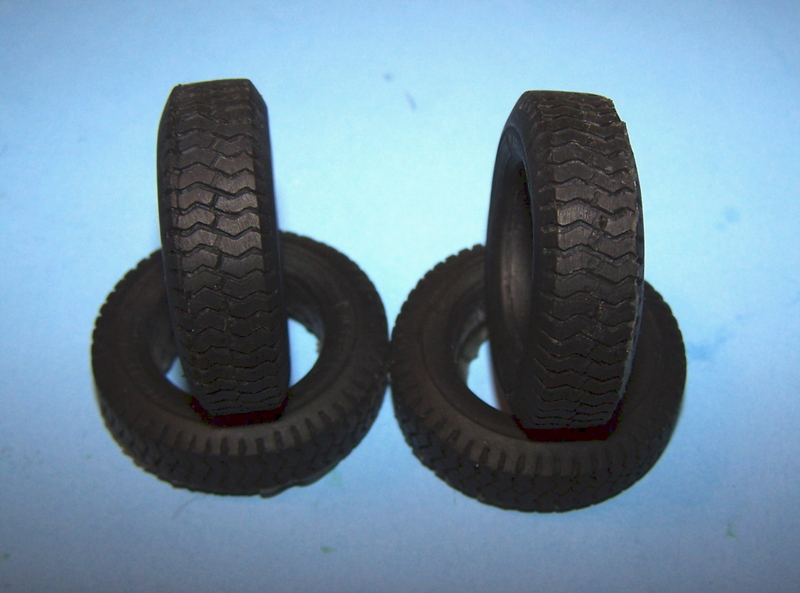 Set of 2 tires w/unisteel type steer/trailer tread. 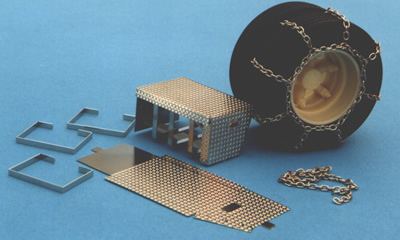 For use with Mo'Luminum 22" wheels. 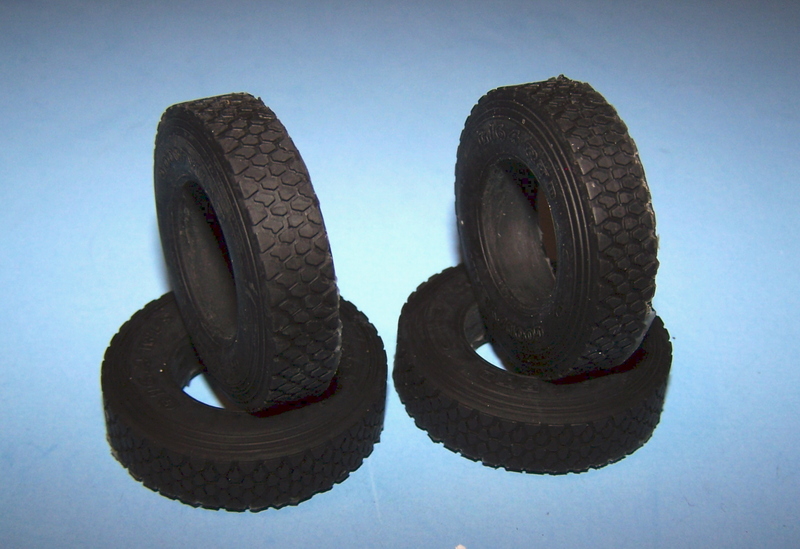 Set of 8 tires w/unisteel type drive tread. 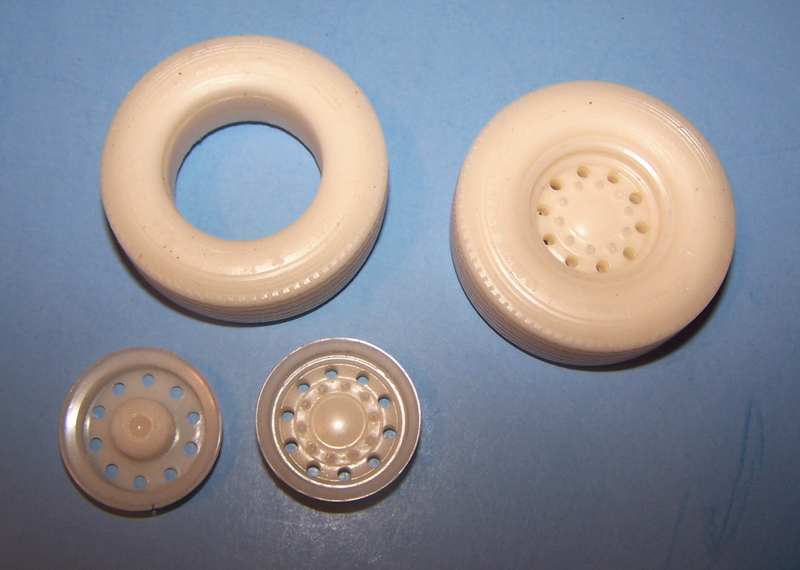 For use with 20" JRR wheels or 22" AMT wheels. 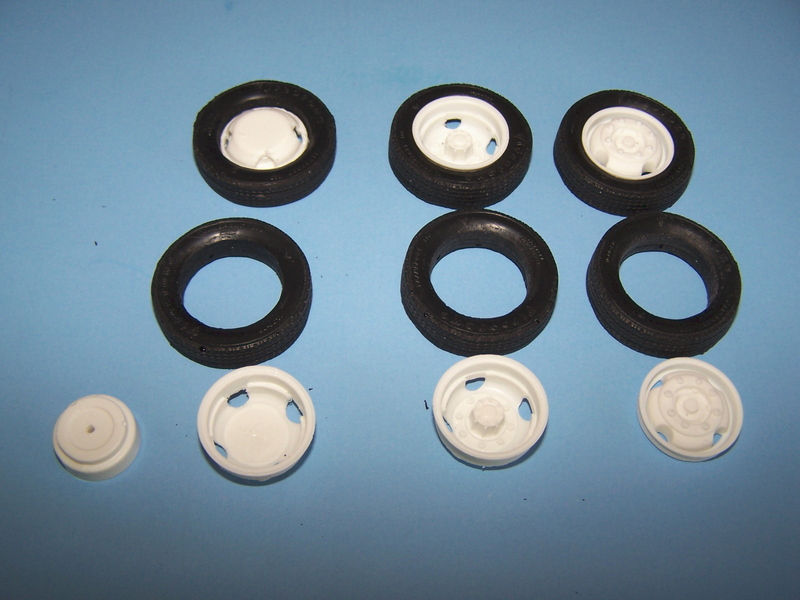 Resin cast wheels w/soft black urethane tires. Includes 2 front wheels, 2 front center caps and 2 tires w/286 type tread. Includes 2 front wheels, 2 front hub covers and 2 trailer/lift axle hubs. 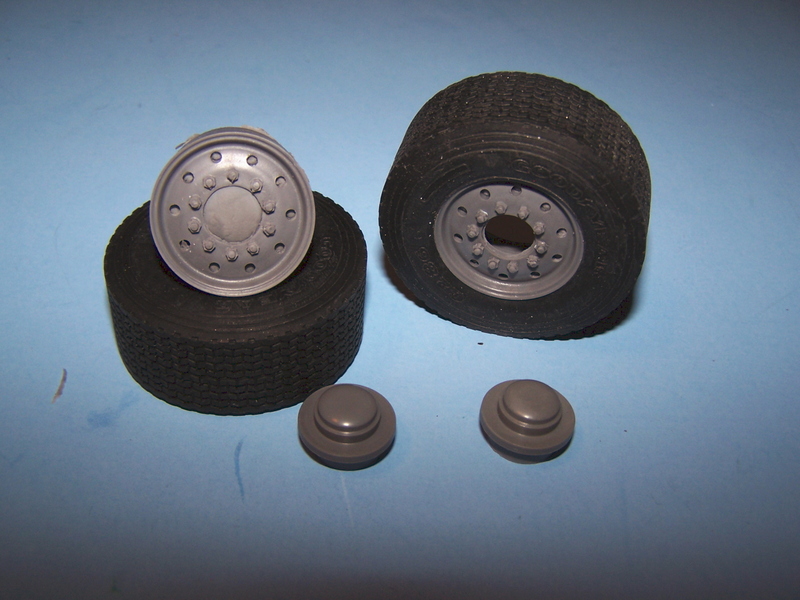 Includes 8 tires with WHL type tread. 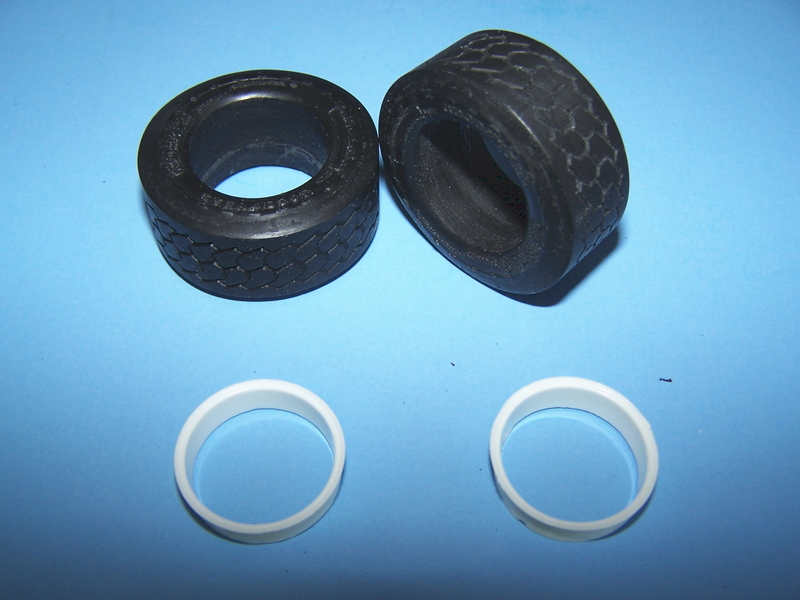 For use on 20" JRR Wheels and 22" AMT wheels. 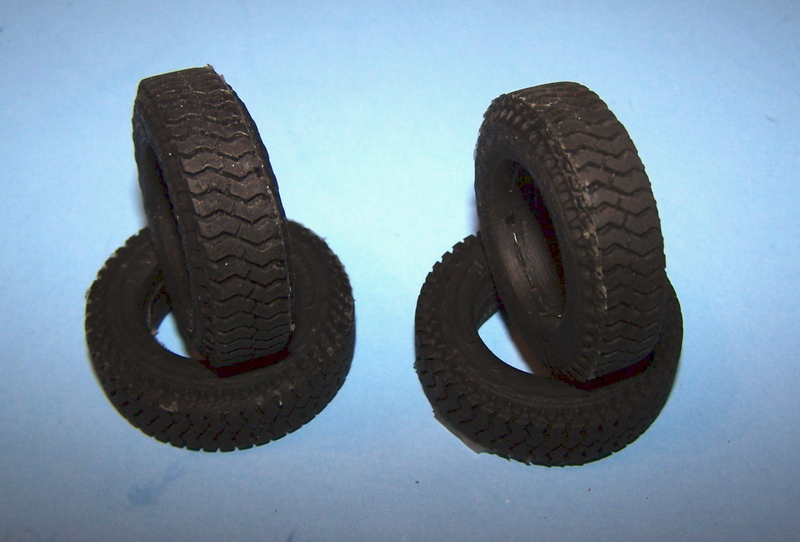 Set of 8 tires for use with 20" JRR wheels and AMT 22" wheels. 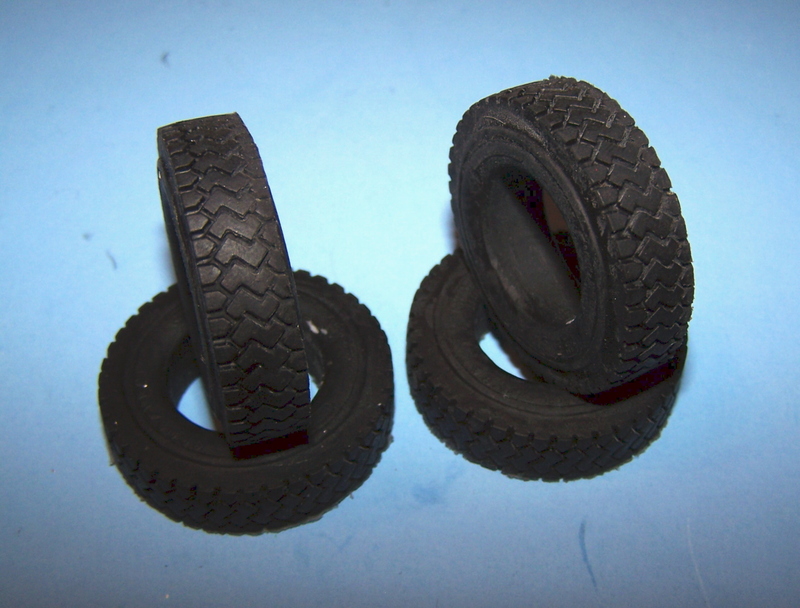 Black resin cast tires with on/off road tread T-113. 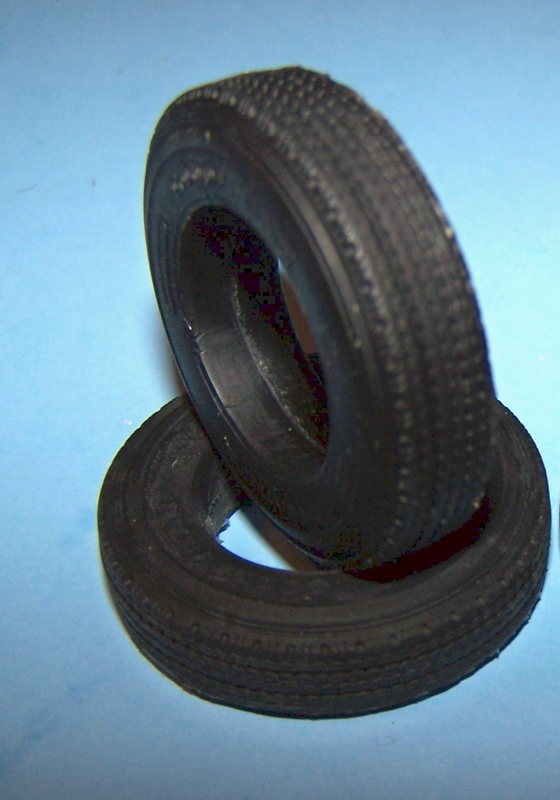 Includes 2 tires with on/off road tread. Includes 2 tires with off road tread. 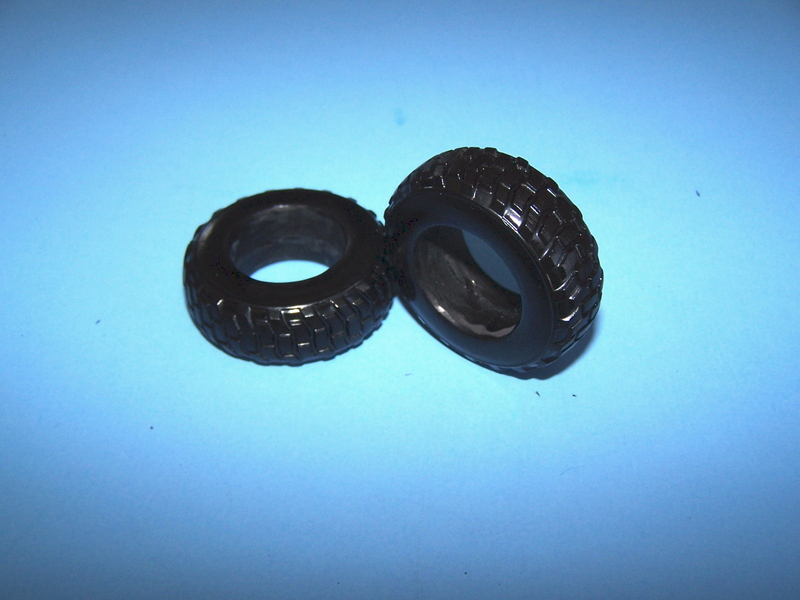 Black resin cast tires with on/off road tread T-111. 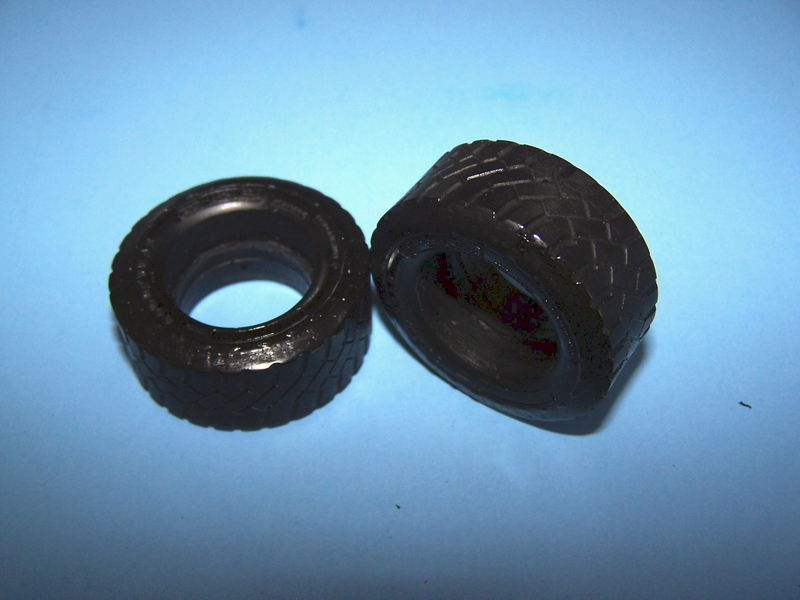 Black resin cast tires with 4 hole, 8 lug wheels GMC and others. Includes 2 inner rear wheels, 2 outer rear wheels 2 front wheels, 2 rear brake drums and 6 tires with rib tread. 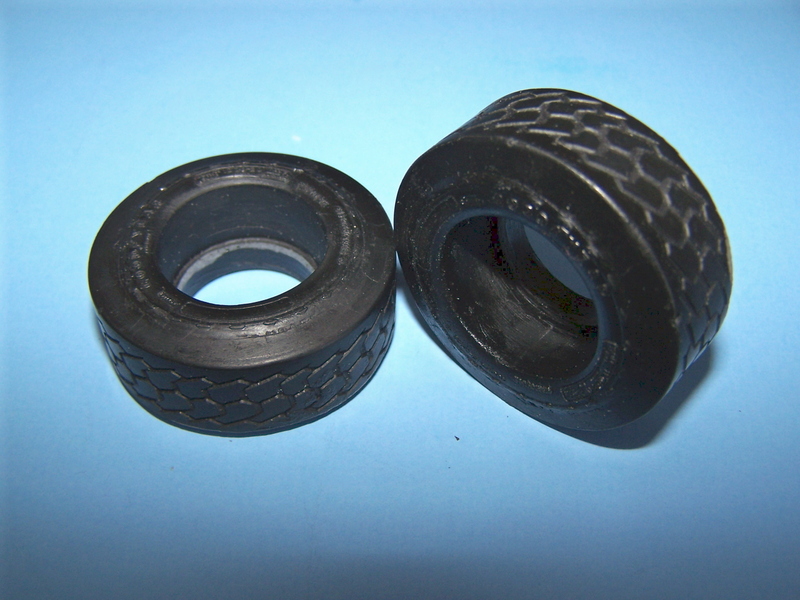 Black resin cast tires with heavy lug tread T-109. 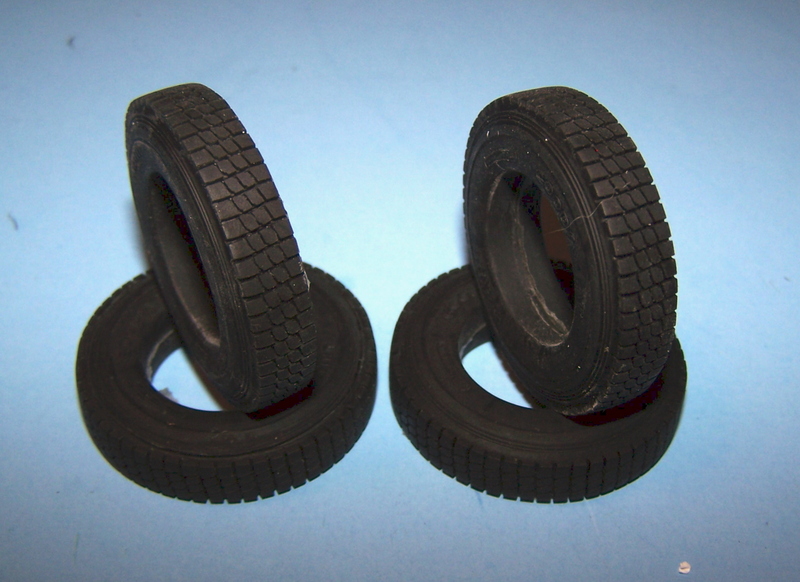 Includes 2 tires with heavy lug pattern tread.